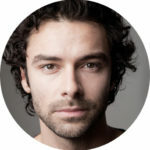 Dublin actor Aidan Turner got his start in a number of theatre productions following his graduation from the Gaiety School of Acting in 2004. He quickly made the transition from stage to screen, landing roles in Irish-shot period drama ‘The Tudors’, BBC series ‘Desperate Romantics’ and RTÉ series ‘The Clinic’. His breakout role in BBC fantasy drama ‘Being Human’ somewhat prepared him for international stardom, as the US quickly made its own version of the vampire-based thriller. This year however, Tuner is embarking on a different kind of fan journey, as he prepares for the worldwide release of Peter Jackson’s ‘The Hobbit: An Unexpected Journey’, the first film instalment based on JRR Tolkien’s cult novel, in which he plays Kili the Dwarf. IFTN spent five minutes with Turner ahead of the Dublin premiere of ‘The Hobbit’, to talk all things fan-related, prosthetics, and why he preferred acting opposite a tennis ball than Sir Ian McKellen. 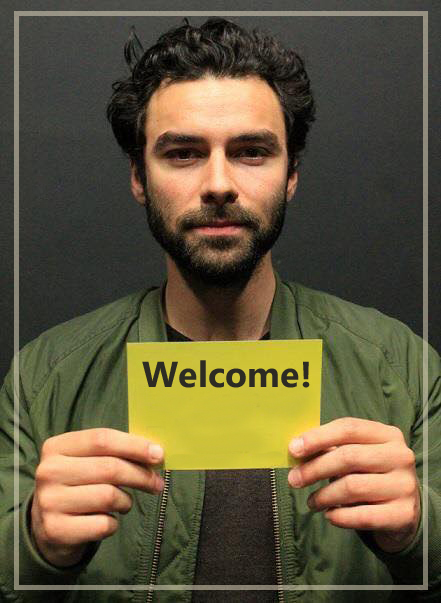 Aidan, your previous roles have been in period dramas or fantasy series, much like ‘The Hobbit’. Is fantasy a genre you feel comfortable in? It’s supernatural playing a vampire and stuff, I think [The Hobbit] is quite different than a lot of the stuff I’ve done. I don’t think I’ve ever been entirely immersed in a completely different world before, different times certainly, but a different world not so much, and it was new in that sense obviously with the ‘Lord of the Rings’ movies I was quite aware of what Middle-Earth was and what it was about, so it was a proper thrill. So you were a fan of ‘The Hobbit’ and JRR Tolkien’s books before the film? I was a fan, it’s hard to say you’re a fan when you’re out talking about Tolkien because the fans are fans, and are so loyal and so committed and you suddenly say you’re a fan and you get all these crazy questions and they realise quickly that you’re not a fan; you’re not one of them, you don’t have little elf ears that you stick on at night time. I was into the movies like a lot of people. Are you prepared for that level of fandom now? It’s weird we were just talking about Lego figures, Lego figures have just come out and we were given one of them. I think I’m on a hot chocolate in Germany, you know you’ve made it when there’s a menu in Denny’s that has your picture on it. Thorin, son of Thrain, played by Richard Armitage in ‘The Hobbit’, has a special relationship with all 13 dwarves. Kili & Balin (played by Dan Stott) are even closer to Thorin than the others, would you say? Fili (played by Dean O’Gorman) and Kili are nephews of Thorin so they’re obviously family so they’re the direct line from Durin’s folks, so Fili would be next in line to the throne and then Kili afterwards and so on. Balin is kind of his advisor, he’s a bit more placid than the rest of them, he’s not really a warrior as such but he’s kind of a seasoned administrator as part of the company. Kili is a bit more laid back, maybe that’s why Thorin has that relationship with him,. I think Tolkien’s favourite characters were Fili and Kili for some reason, I think he enjoyed that youthful, spirited, kind of gutsy, courageous attitude that they had towards the whole mission. Maybe Thorin sees in himself the way he would like to be if he wasn’t such a stress head, if he could just chill out and have a good time and just get the gold, it’s a funny thing! 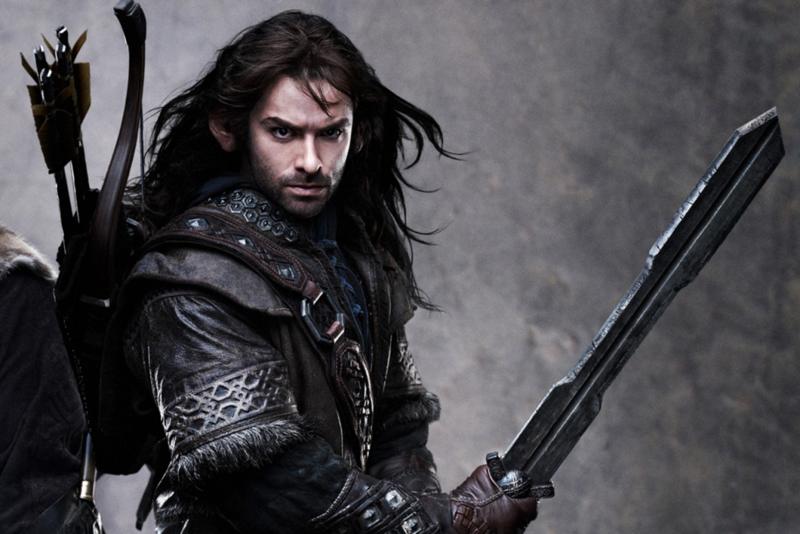 Your character, Kili, is more or less the only character whose story has expanded from the original books. 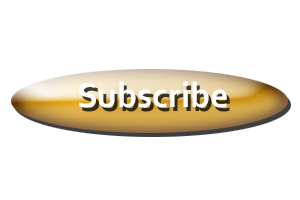 Were you aware that was happening before you signed up? No, no I didn’t. It expanded slightly, it’s not really covered in the first movie, it’s the second one really that they sort of ever so slightly fabricated something, a relationship with an elf, that we get onto maybe next year. It’s really what’s left in it, there’s so much shot, and when you go to watch the movie, you kind of figure out what’s in and what’s not in. There was obviously a lot of stuff that hasn’t made this particular cut, it might be in the director’s cut or it might just be on the floor somewhere in Wellington. You figure out more when you watch the movie about your character than when you’re actually shooting it sometimes. You feel it when you’re doing it and you get on with it, but when you actually see it put together you kind of go ‘Oh yeah alright, that fits there, I can see why I felt that at the time’. Did you get a chance to have a sneak peek at the edit at all? God no, a million miles away from that sort of thing. In ADR when we do post production you dub your own voice where needed, you get to see little bits a few months before it comes out, but a lot of it for this kind of movie doesn’t get finished. It’s very unfinished at the time so seeing the movie for me last week was, like a lot of people, was really the first time. Does getting into costume help you get into character more. You are the only dwarf without a beard… Am I the only one without a beard? Yeah I think I am. I guess somebody needed to take the hit! I don’t really know why. I only had a little prosthetic nose, we tried in the early days to have more but it just made me look older and it looks fake if you don’t have a lot of detail to it, you need lines and pores and it just made me look older and a little bit weird! They wanted to keep these characters quite young. Fili got a beard and Ori got a beard and they’re both quite young so I guess somebody had to not have a beard, I don’t why, but I wasn’t complaining! Talk me through the shooting process, I doubt it was as simple as looking up for scenes with Gandalf, who is taller than the dwarves, and looking down for scenes with Bilbo, who is shorter? There’s a lot of different stuff and some of it is quite as simple as that really. It’s a bit of gaffer tape on a wall and that’s the eye line for Gandalf and that’s an eye line for somebody else. But sometimes it’s a lot more complicated, they use this technique called slave motion control, where one camera is slaved to another where they sync together and they move at the same time but one is on a different set. They do it in the studio sometimes, so Ian [McKellen] is on that say for instance, and all his props and all his tables and all his little things are relative to his size, so they’re all small, and we’d be on the real set and the cameras would move at the same time and capture both the images at the same time. You’d look around and somebody would be holding the tennis ball, you’d watch the playback and then you’re synced together. So in Bag End that was used, so in Bag End Ian is in a different set to us at the beginning of the film, and we’re just told where to look and stuff like that. But we can hear him, we’ve mics in our ears, sometimes it’s like that, and sometimes it’s just big props, small props, using the foreground of the frame to make it bigger or using dugouts if you’re walking beside Gandalf or other characters you’re two or three foot lower on the ground using a platform, it’s weird! This would have been the most you ever used green screen and special effects on a project. How did you find working on a set on this scale? Yeah, [there was] a lot of green screen, but then a lot of sets as well, he builds gigantic sets, Peter, they’re huge, the green screen goes on the outskirts, the perimeter of the studio, but sometimes you can’t even see it. You’re on the set and you’re doing your thing and there’s just little slivers of green you see and he builds a lot of set, they’re huge.